For my final borders, I kept the rainbow color order going but used five different yellow prints for a bit of spice. 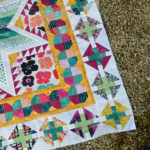 Each of the four yellow flying geese on each side of the quilt are a different print, then the corners are the same print used earlier in the snowball border. I like how little touches like this are only noticeable when the quilt is viewed up close. It’s like my little secret quirk that is easy to miss, but fun to discover. I debated how to do the last row of geese. In the original pattern it is supposed to be alternating green and blue, but I really wanted to incorporate a multi-color print in there somewhere. The problem is that since the pieces are small, the print couldn’t be too large in scale. I went with this pretty stripe print that includes colors from throughout the quilt and brings them all together. I am going to add wider border strips of the stripe fabric before quilting it (I just have to buy more (-; ). This baby has gotten too big to photograph easily (and the weather has not cooperated for outdoor glamour photos, boo.) 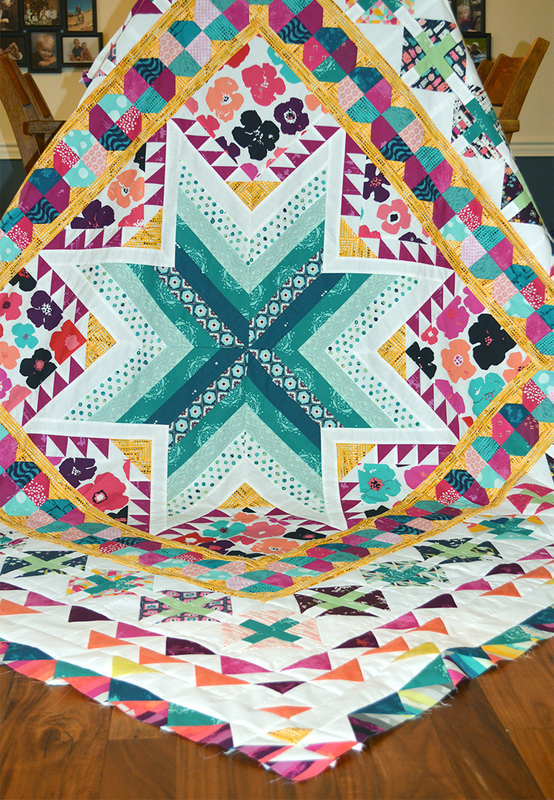 I really love how this turned out…It’s so “me” and includes my favorite colors and fabrics from my stash I’ve been saving so that feels great! 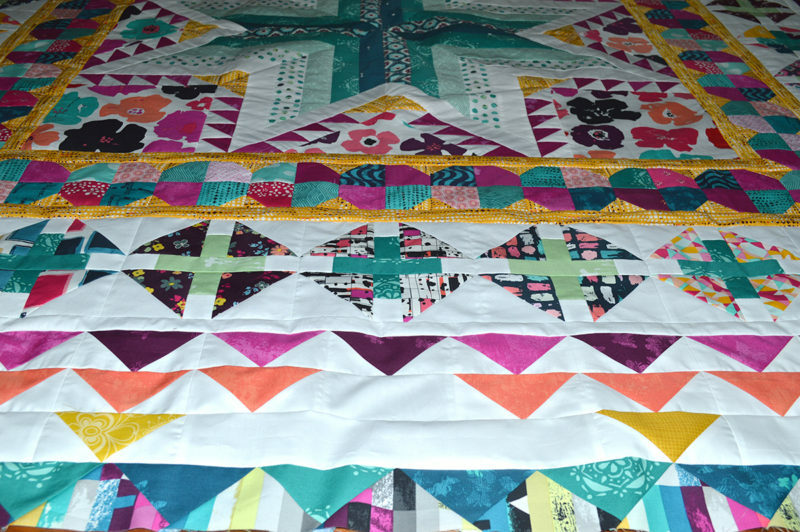 If you haven’t been following the progress on this quilt, you can find all the posts, Here. These posts are also a great resource if you decide to make your own Pixie. 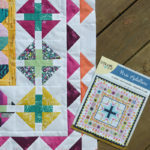 I have really enjoyed the quilt along…the schedule is such a motivator for me to keep on task and meet the goal each month to make it to the finish. 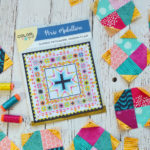 You’ll find the Pixie Medallion patterns in my shop for immediate download, Here. Or ask your local shop to carry printed copies. For those in the Australia area, order a printed pattern from Wendy. Thanks for joining in! What shall we make next? News Flash! I am finishing up the final touches on a brand new pattern for the Classic Curves Ruler. It’s coming soon and you won’t want to miss it! I’ve been waiting patiently to see the end result. Beautiful! It’s SO beautiful! All those AGF fabrics are such eye candy, and you truly have a gift for putting colors together. 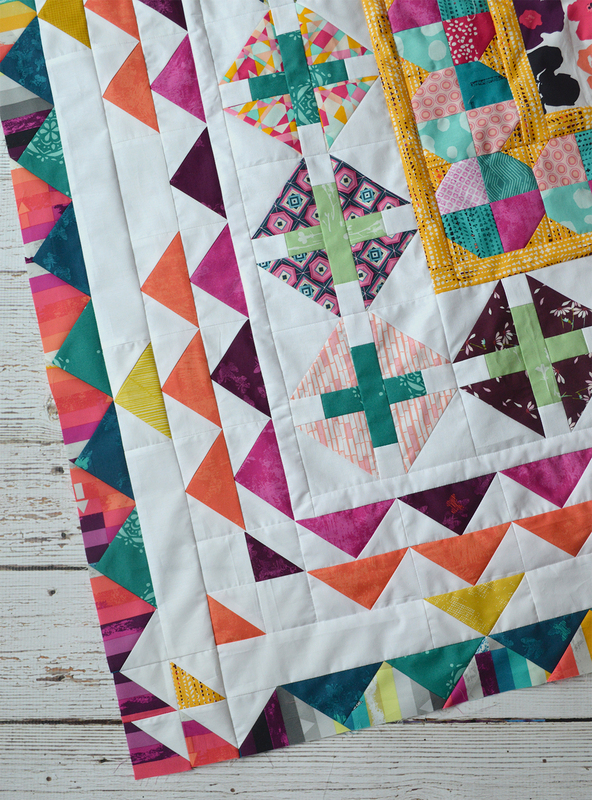 Love the variety of patterns to use up all of (some) of the stash and you came up with an amazing quilt. I am so sorry I missed this “Quilt-a-long”! Yours is BIG & BEAUTIFUL!!!! I’m sure I’ll make one, too bad I don’t finish projects as fast as I add them to my list! I can’t wait for the new one either…see? Another one since I love them all, thanks for your work & sharing it with us!